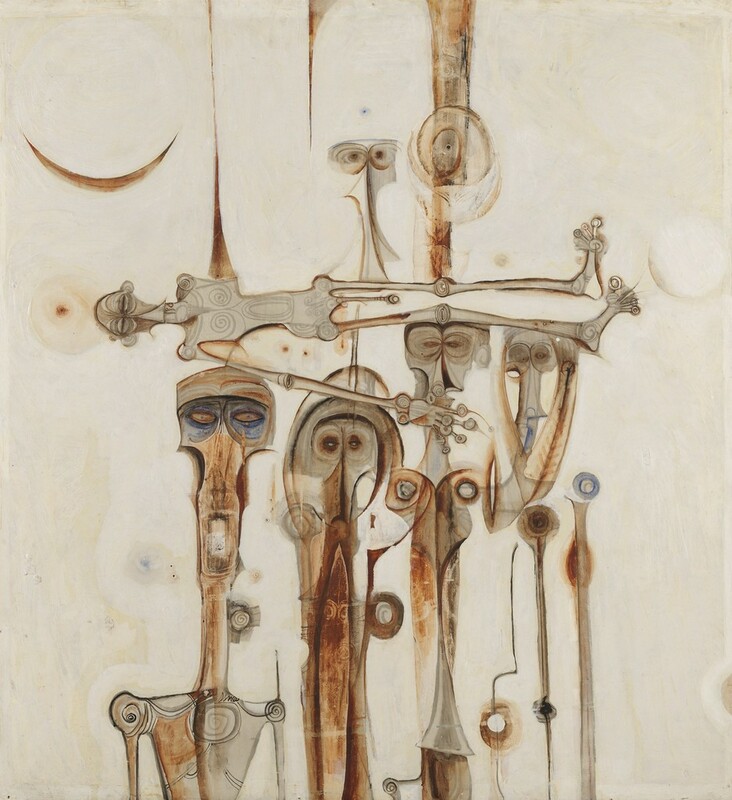 Tate Modern is hosting a major retrospective exhibition of the work of Ibrahim El-Salahi, charting the influential painter’s work from the 1950s to the present day, from his origins and political imprisonment in Sudan, via his studies at the Slade School in London, his time in Qatar and his eventual settling in Oxford. Highlights include Reborn Sounds of Childhood Dreams I, Vision of the Tomb and Funeral and the Crescent, which exemplify El-Salahi’s technique of manipulating the forms and flows of Arabic calligraphy and Islamic icons to create distorted figurative shapes, and more recent works such as Flamenco Dancers, with abstracted bold lines and colour blocks depicting movement and music. The El-Salahi show is an exciting part of Tate Modern’s series of exhibitions showcasing important international artists who are currently lesser-known in the UK, and is definitely worth a visit alongside the Saloua Raouda Choucair retrospective and Meschac Gaba’s Museum of Contemporary African Art. The exhibition is open until 22 September.